Home › How does our driver training plan work? All courses are delivered online. This means that any of your team can take it on any device (computer, smartphone or tablet) wherever they have internet access, whenever it’s convenient for them. Who is the fleet driver training plan for? Potential employees with overseas licences – ensure that anyone driving for you that passed their licence overseas understands the New Zealand road rules before using one of your vehicles. count up the number of people that drive for your company (including volunteers and contractors in your vehicles). 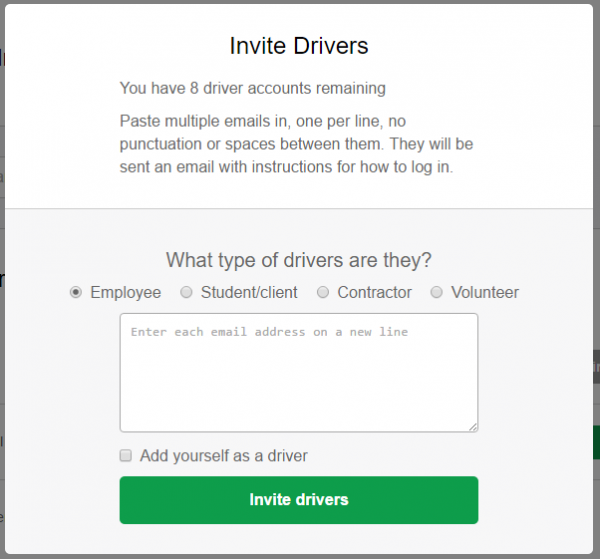 From here, drivers receive an email with an invitation. You’ll be notified if they don’t accept the invitation within 14 days. When you log in, you can monitor their progress from the Reports section, and download certificates and other data to prove they have done the training. Easy! Still not convinced? Click here to download our brochure. Also, you might qualify for a free trial: fill out this form and we’ll be in touch with you as soon as possible.